Stay in Renaissance Pienza, rebuilt to its current beauty by Pope Pius II. Cycle through rolling vineyards, golden wheat fields and chalky white hills. Savor pecorino cheese, homemade pasta pici, and fruity olive oils. Sip Tuscan wines including the famed Brunello and Nobile. Experience the essence of Tuscany where history and beauty fill the heart as water fills a well. Visit religious and cultural ruins of the Inca civilization. Learn about Spanish colonial history. Trace the path of the ancient Inca civilization. Explore the sacred valley with its ruins and vibrant Andean culture. Walk along a part of the Inca trail to the protected site of Machu Picchu, one of the world’s most remarkable archaeological wonders. Take a scenic drive from Cusco airport to the Sacred Vally of the Incas. Explore the Sacred Valley’s vibrant Andean culture. Visit colorful markets in Pisac or Chinchero. Revel in your accomplishment after a 4-day hike the Inca Trail. Enenter Machu Picchu via the sun gate and visit the protected site of Machu Picchu, one of the world’s most remarkable archaeological wonders. Visit the Tuscany of your dreams on this awesome trip and create a memory of a lifetime. Stay in the Noble House of an authentic Renaissance Villa where you will cook Tuscan family recipes with our professional Chef. Visit Greve, the main market and wine town in the heart of the Chianti region. Walk past vineyards to the Catello di Brolio, home of the original Chianti Classico recipe. Sip a perfect glass of wine at a Tuscan vineyard. 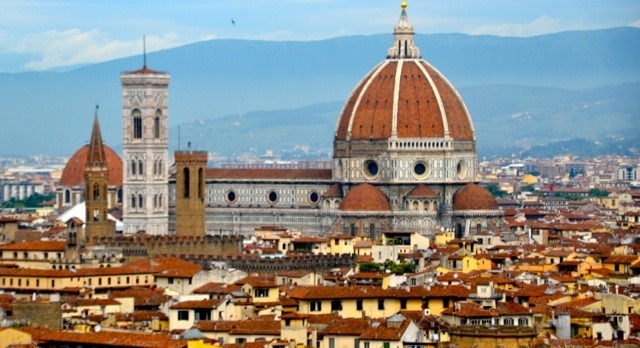 Guided visit to important Tuscan towns of Lucca, Florence and Volpaia. Enjoy a unique personal adventure in the company of other women. 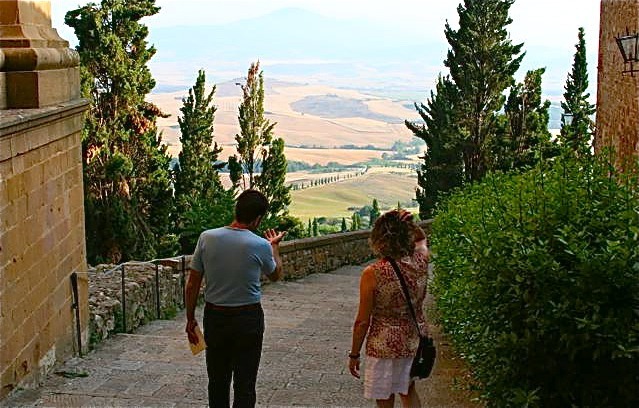 Be treated to quintessential Tuscan landscapes and rolling hills. Walk between the iconic cypress trees made famous by Renaissance painters. 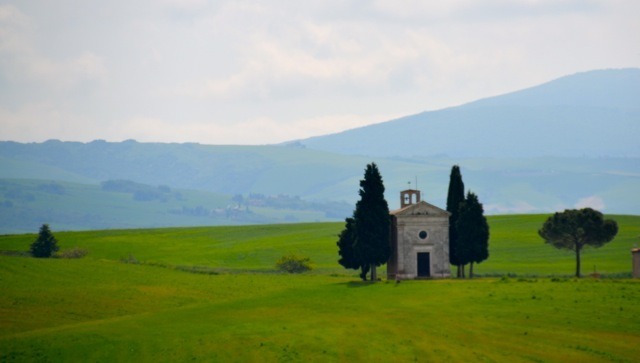 Walk into a Tuscan painting, past iconic cypress trees and sculpted hills. Meander through the cobbled lanes of a living renaissance town. Visit the medieval walled cities of Montalcino, Cortona, and more. Discover authentic cheese and leather shops as you wander through serpentine alleys. Hike along paths used for centuries by the Etruscans and Romans. Taste famous wines of Chianti, Bruenllo, and Vino Nobile. Follow in the footsteps of the ancient Romans as you hike past working farms and vineyards to the Romanesque Abbey of Sant’Antimo. Try your hand at authentic Italian cooking.